The Game Developers Conference (GDC) 2019 Conference call for submissions closed August 16, 2018. GDC Summits, Virtual Reality Developers Conference (VRDC), and the Game Career Seminar call for submissions closed October 5, 2018. The GDC Advisory Board works to build a diverse, high-quality conference program, choosing talks representative of interesting and current work happening in game development. While GDC is respected for the quality of its conference program, the Board strives to continually improve the quality and breadth of talks every year. GDC requests more comprehensive submissions than other events. This helps the Board better understand what will be presented and help ensure that a great session title and abstract develops into a great talk. This can be challenging for submitters because it requires content to be prepared well ahead of GDC. The Board tries to strike a balance between improving the process for submitters and improving the quality of talks. GDC relies on grading history for past speakers, while actively seeking new voices that represent diverse perspectives. Good luck with your submissions for GDC 2019! GDC does not accept product or vendor-related submissions. If your talk is a thinly veiled advertisement for a new product, technology or service your company is offering, please do not submit. If you would like to publicize a product, please contact sales for information on exhibiting and vendor opportunities, including sponsored sessions. If you are interested in submitting for the GDC Summits, VRDC, or the Game Career Seminar, the call for submissions will launch after the GDC Conference call for submissions closes. Proposals submitted to the GDC Conference will not be considered or reviewed by Summit Advisors. There is no penalty for submitting a proposal to both the Conference and Summits. Each program has its own advisors and submissions will be graded separately. Contact Megan Bundy for questions about the Summit + VRDC call for submissions. Victoria Petersen for Game Career Seminar questions. Session Title: Provide a session title in fewer than 10 words. Please try to include keywords, topics, and game titles covered by your talk. Description for Advisory Board: You have 500 words to describe to the GDC Advisory Board what your talk will be about, and why it will be interesting to GDC attendees. This is not the abstract for your talk for the printed program, it is not meant for attendees to read, it is not a teaser, and it is not a place for cute wordplay. It is for you to describe concretely and succinctly what is compelling about your talk to the Advisory Board, a group of people who have probably read 250 of these descriptions by the time they get to yours. Do not tease with something like, "My lecture will reveal amazing findings about how people play puzzle platformers," instead say, "We have found 90% of people only play puzzle platformers while eating pepperoni pizza," or whatever your amazing finding actually is. If you need more than 500 words to describe your lecture in this way, you can upload supplemental materials (.doc, .pdf, .txt) to your submission. Session Description: In 100-150-words, provide a concise description of your session as you would have it appear on the GDC website. Write in 3rd person, present tense. Attendee Takeaway: In 50-words or less, tell us what attendees will gain from this presentation. Be specific by giving concrete examples and remember that GDC attendees are experts in their field. Do not use bullet points, write in 3rd person present tense. Intended Audience: In 50-words or less, describe your target audience and who will benefit from your presentation. Is prerequisite knowledge necessary for understanding the content of the session? If so, what are the prerequisites? Do not use bullet points, write in 3rd person present tense. Supporting material: Submit supplemental information that supports your session proposal. Additional materials may include white papers, code, demos, videos, images, proof of concept, etc. See a sample production & management submission here. See a sample programming submission here. *Note: You are not a confirmed speaker until your presentation is reviewed and approved by the advisory board. Takeaway: Is the attendee going to leave this session knowing something they didn't know when they walked in? Are they learning or being inspired? This is the most important aspect of every GDC session. The submissions will be rated on a one to five scale by each of the reviewers and the resulting scores are averaged. Submissions in each category with the highest scores are considered first. If there is too much topic overlap, a lesser scoring submission may be selected to keep variety in the program. Please note the GDC Advisory Board and content team are here to help. If you have ANY additional speaking questions you’d like GDC to cover, please email Victoria Petersen. 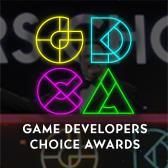 Click on one of the GDC 2019 Conference tracks listed below to view descriptions of the topics solicited by the Advisory Board. Given that the Game Developers Conference is such a large and broad forum, it is extremely important that we address new and existing issues within the realm of social advocacy. Topics to be covered should range from diversity to censorship to quality of life. With these sessions, we hope to offer an environment for discussion and ultimately a place to effect positive change for the development community. Innovative, creative, technical, inspirational, practical - we feature talks on every aspect of the art, science, and business of game audio. We want submissions from composers, sound designers, audio directors, and programmers, and all game developers with unique perspectives and experiences with game audio; in-housers, freelancers, academics; indies to AAA; mobile, tablet, PC, console, virtual/augmented reality, and other form factors. We look for those who are willing and able to effectively and efficiently share their experiences and skills with their peers at this cornerstone of the game audio calendar. 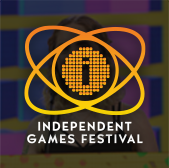 Design submissions in all areas are welcome, and we are particularly interested in high quality, deep and insightful game design talks presented at an advanced level for experienced professional game designers. The Production & Team Management track is looking for experienced producers who have shipped games to share their best techniques or experiences which helps them produce better games or build better teams. We are financing/genre/platform/business model agnostic - we just want the world's best producers to share their knowledge. How have new platforms and display devices changed game development? How do you tackle the constraints of Virtual or Augmented Reality enabled games? Do you have tips and tricks to share? Case studies of difficult problems in core engine development. Possible topics include: advanced multithreading approaches, streaming and open world games, working with massive data sets, techniques for rapid iteration, and other challenging core engine problems. How have gains in computing power allowed for higher fidelity physical simulation? Are these techniques better suited for implementation on CPU or GPU? Possible topics include soft and rigid body physics, cloth, fluid simulation, destruction, and new approaches to animation. How has AI and NPC behavior advanced over the last year? What new techniques are driving this advance? Has scripting reached its limits? How should the AI deal with rendering techniques that are quickly descending the slope of the uncanny valley? How has character motion improved to match increasing visual fidelity? Possible topics include advances in data representation (e.g. point clouds, motion graphs, compression), facial animation, interactive and synthesized animation, and runtime retargeting. We want to hear about new developments in persistent universes, pervasively online games, cloud server usage, player-driven economies, multi-authority networking models, and security. Most titles are now created with small teams of programmers tightly focused on the specific needs of their title. How do you create complex systems on short time scales and with limited resources? What techniques have you evolved for supporting release on multiple platforms with highly varying specifications? What specific programming problems of larger teams do you avoid? What are the main challenges for smaller programming teams? Show us your cutting-edge techniques that demonstrate what new hardware is capable of! Possible topics include TAA strategies, content amplification, physically based materials and lighting, real time global illumination, new approaches to deferred and forward+ rendering, and advanced usage of compute shaders and GPGPU techniques. Postmortems are welcome, as are examinations of aspirational techniques difficult to achieve in current games. Content sizes are increasing dramatically with new platforms. How are you solving the difficult problems in content creation tools, content pipeline development, working with massive data sets, and providing rapid content creator iteration? We'd love nitty-gritty detailed talks on various gameplay-oriented subsystems, things that are not rendering, networking, physics, and AI. Examples include object systems, inventory and encumbrance, dynamic reactions to damage, conversation systems, etc. A great example from GDC 2012 was Elan Ruskin's talk, AI-driven Dynamic Dialog through Fuzzy Pattern Matching. Empower Your Writers!. What automated tools have you used to catch bugs in your game or engine? 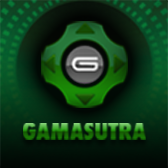 Or any other automated processes that improve robustness and quality of complex games. And anything new, fresh or experimental! If you are doing something in a different way that advances the state of the art, we would love to hear about it! Success of the GDC Visual Arts track has grown over the past few years and we want you to help us build on that momentum. We want disruptive, inspirational and amazing artists, art directors, and art managers to speak this year.. We're looking for people who are willing to share their skills and techniques with us. We want to hear from directors and managers who can teach us how to build great art teams, and create outstanding visuals on tight budgets and schedules. And we're seeking out top notch technical artists to show us new insights in look development and tool creation. Continuing with our 'coffee table book' art direction sessions from last year we're looking for art directors who are willing to not only talk about the evolution of their game's style but to show us that evolution. Whether you're a AAA big budget developer or a small 2-person indie team, pull back the curtain and reveal the sketches, concepts, prototypes and in-development shots/videos that led you to the final look of your product. Visual artists are just that, visual. We want to see what you know, not just hear about it. We want artists to teach us new techniques, new tools and new styles. Can't talk and draw at the same time? No problem, we'll even let you have two presenters - one to talk and one to demonstrate. Show off your 3D modeling techniques, concept art drawing, and animation work to the best audience in the world - your peers. A console transition is looming, and it's time to start planning for all the new graphics goodies it will bring. What will we be able to do with lighting, with procedural art generation, with materials, or with new pipelines? Help set the agenda for the next generation of graphics by sharing your cutting-edge techniques and plans. Did you develop an interesting strategy that saved you art development time and/or money? Did an in-house or 3rd party tool help alleviate your production pipeline woes? How do you manage to keep your artists from seeing the trees instead of the forest? We'd love to hear about your solutions to these problems and more! What core values are you looking for when you hire artists? How do you manage critiques within your organization? Managing creative people with disparate personalities can be daunting. How does your team manage that? Share your successes (and failures) in this with us so we can create better collaborative environments at our studios. What sets your game's animation apart from everyone else in the industry? What went right in your latest game's motion capture sessions? What went wrong? What have you learned from studying animation techniques used in other entertainment industries? Share your lessons with other animators as we want to hear the good, the bad, and the ugly regarding animation trials and tribulations. It is surprising how some aspects of 2D art production pipelines are a lot more work than 3D art production pipelines. We want to hear from someone who can talk about an interesting 2D art production pipeline. We'd like to see a character talk that speaks to the DESIGN of the characters, not just how to sculpt high-frequency detail in Zbrush or do pretty rendering in Photoshop so the character design can pass a publisher focus test. You're the glue that holds art production together, TAs. What new ideas in tools and pipelines have you developed this past year? What new shader techniques are you investigating for next-gen? Is there look development work you've done that would enlighten us? Come show us and inspire us! Last year was the most popular ever for the GDC Visual Arts track, and we want you to help us build on that momentum. We want disruptive, inspirational and amazing artists, art directors, and art managers to speak this year. We're looking for people who are willing to share their skills and techniques with us. We want to hear from directors and managers who can teach us how to build great art teams, and create outstanding visuals on tight budgets and schedules. And we're seeking out top notch technical artists to show us new insights in look development and tool creation. Lectures 60 or 30 Minutes Lectures are issue-oriented, provide concrete examples, and contain both practical and theoretical information. GDC generally prefers only one speaker but we may accept two if you can demonstrate the second person is necessary. Postmortems and case studies are included in this category. Panels 60 Minutes Panels take many different viewpoints on a topic or issue and combine them in one debate session with a moderator. Debate among panelists (with very different opinions) is welcome and audience participation time should be accounted for. We prefer 60 minutes for this format and no more than 5 people with diverse representation. Include all of the panelists you have confirmed in the proposal. A very limited number of panels will be accepted. Roundtables 60 Minutes Roundtables are small peer discussion groups led by one or two moderators and limited to a maximum of 50 attendees. Moderators should facilitate conversation and keep the flow of discussion inspired and moving. They do not lecture or dictate. Constructive controversy and debate are very welcome in roundtables. Topics that are open-ended in nature and promote an exchange of ideas from people likely to have different viewpoints generally work best in this format. Roundtables run up to three times, once a day during GDC Conference days, Wednesday-Friday. Tutorials Full-Day Tutorials (simply) must teach attendees new skills. Think of this as (informal) classroom training. The Tutorial format can consist of a series of lectures, or as an interactive workshop; you can have them work in teams; you can give them challenges; you can include competitions. The result of the time period MUST be that they feel they've learned something truly useful in the world of game development. It can be a skill, an ability, a method or even the mastery of a tool. After statuses are determined in October, an official GDC Tutorial C4P can be set up for accepted tutorials, either independently or through conference management. Tutorial C4Ps launched prior to official acceptance are not guaranteed. NOTE: GDC does NOT supply any hardware (i.e., laptops) for attendees. If you need attendees to bring anything, this must be CLEARLY stated in your proposal.